Get an instant quote and book your private transfer to Val d’Isere from Geneva Airport today! We also provide private transfers to Val d’Isere from other surrounding airports, including; Chambery, Lyon & Grenoble. Getting a private airport transfer to Val d’Isere could not be more simple with Ski-Lifts. You will have peace of mind that your driver will be waiting for you the moment you step off the plane, ready to take you to the ski resort. Use the quote generator below to get your quote and book online, choose from a selection of transfers from shared, private and luxury. 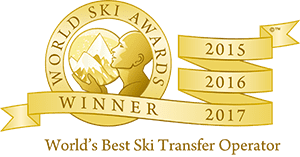 Why a Private Transfer to Val d’Isere? A private transfer to Val d’Isere from Geneva or one of the other surrounding airports with Ski-Lifts is the easiest way to get from the airport to the ski resort. You don’t have to share your vehicle with anyone else. You will be met at the airport by your driver, who will be waiting for you the moment your flight lands (if your flight is delayed, your driver will still be there waiting for you). You can relax safe in the knowledge that you will be on your way to your accommodation in Val d’Isere before you know it. A private Val d’Isere transfer is by the far the most hassle-free method of transport. For your return private transfer from Val d’Isere you will be picked up directly from your accommodation. We confirm your exact pick up time, the afternoon before you depart by SMS text message and it is tailored exactly to your flight time or your own personal requests. Not only do we offer the best service when it comes to transfers to Val d’Isere from Geneva and other surrounding airports, we also offer competitive prices. Private transfers are often people’s preferred way to get to the ski resort and we understand exactly why! Just use the quote generator above and you will get an instant quote for your transfers, then you can book online using our easy to use booking process. All of our private transfers are door-to-door, so you can relax in the knowledge that you’ll be dropped off at your hotel or accommodation in Val d’Isere. Our transfer partners speak English to avoid any language barriers and all have great local knowledge so will be happy to provide tips and advice for your stay. No matter where you are travelling to in Val d’Isere you can use the same great service. When your trip comes to an end, we will be ready and waiting to take you back to the airport for your outbound flight. As well as private transfers to Val d’Isere, we also provide a number of options to suit all budgets. 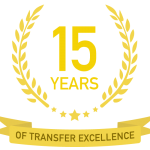 Including; executive transfers, luxury transfers (including; limousine and stretch hummer transfers) and coach transfers to Val d’Isere. Choose from other popular resorts in Europe including; Alpe d’Huez transfers, Bansko transfers, Chamonix transfers, Meribel transfers, Morzine transfers, St Anton transfers, Tignes transfers, Val Thorens transfers and much more!